Our partnerships with brand name generator manufacturers gives you access to some of the highest quality and most reliable sets available. There's an industrial set for almost any application, combined with servicing, parts and technical support. Camping, Caravanning, Off-Roading - Do it in style! Portable generators are great for powering all kinds of equipment. Rough it with a cold beer, keep your food fresher for longer, charge the iPad to keep the kids entertained. A portable generator is the must have accessory for all outdoor activities. 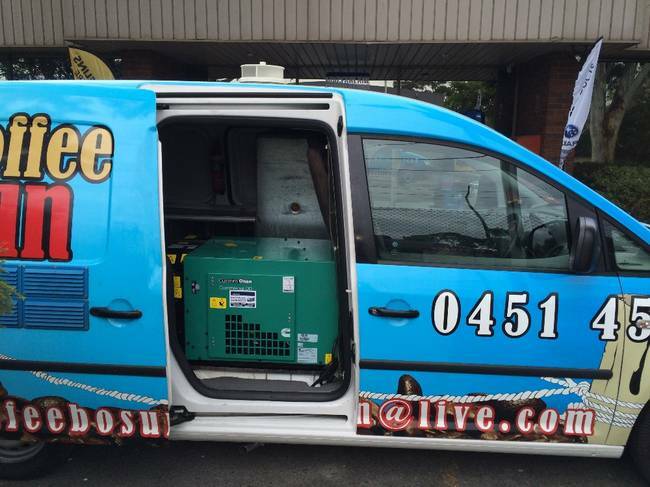 They're also great for parties and events, tradies and installed in food vans so you can take your business anywhere! Things break! Even the best kept generator can have its issues from time to time. Our extensive spare parts network stocks parts for almost every generator, so you're never caught out with a broken generator. We can even install it for you, saving you time and stress. Our parts cover the entire generator range, from portable through to industrial sets. We have qualified engineers and electricians on site and out in the field so you'll have quick, responsive maintenance and repairs every time. 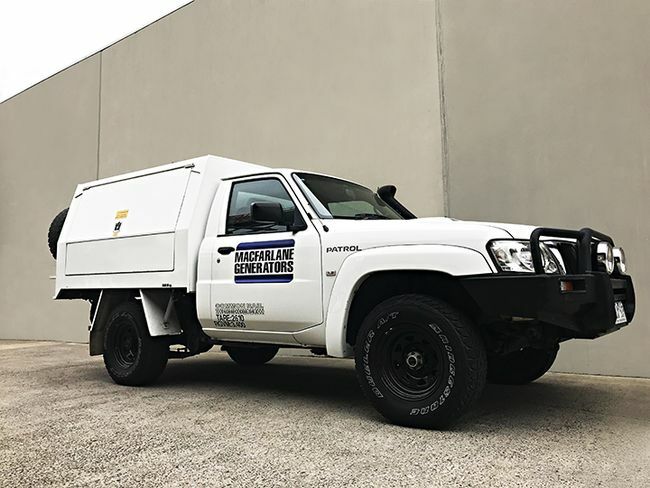 Brand accredited staff with authorisation to work on brands such as Cummins means you'll have the best service by the qualified people - something you'll struggle to find elsewhere! Scared of commitment? A hire set is ideal for projects such as events, construction, and even long-term installations. With sets from 1kVA up to 2500kVA and supporting hire equipment such as load banks, fuel tanks, and trailer-mounted sets, you'll find the most competitively price solution for any occasion. Hire is also a great option to avoid that pesky capital expenditure! Macfarlane Generators are licensed as Electrical Contractors in Queensland, New South Wales, and Victoria. This means we can do more than just generators (although we do specialise in that area!). Call us to have a chat about services we can provide. You’re important to us and we want you to know it! Our goal is to keep you satisfied with first class customer service, high quality products, and extras you won’t find elsewhere. Our pre-delivery service and load testing mean that you will be ready to use your generator straight away. Macfarlane Generators have over 70 years of experience. From humble beginnings in Melbourne, we have since expanded into Sydney and Brisbane. We are a trusted generator specialist, which is why we’ve been around so long and will continue into the future! We're a 100% Australian owned and operated company. When you do business with us, you're supporting the Australian economy, and Australian workers. Macfarlane Generators was established in Victoria, 1949. We have since expanded into Queensland and New South Wales, opening doors in 1982. Today, we have more than 60 staff members specialising in supply, installation, parts, and servicing, of power generator sets for industrial, commercial, domestic, and recreational applications. 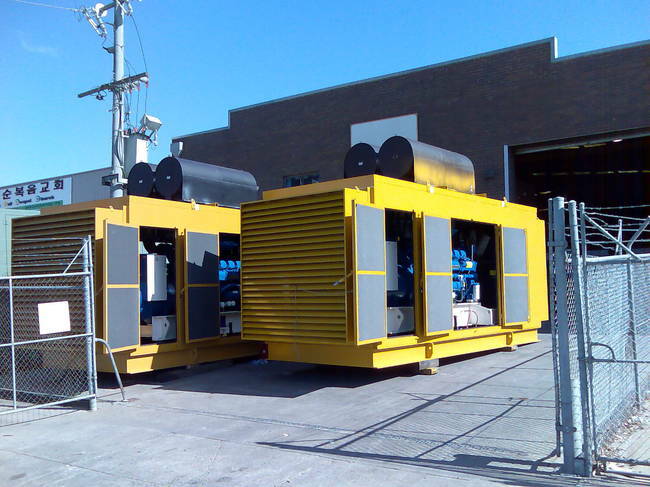 The company pioneered the development of acoustically silenced generators for film and television applications over 30 years ago, providing power for films and shows such as The ANZAC's, Crocodile Dundee, and Neighbours.